It’s been 15 years since Ireland switched from punt to euro, but a lot of ‘old money’ has never been converted. There are notes and coins worth over €350m still littered around the country. 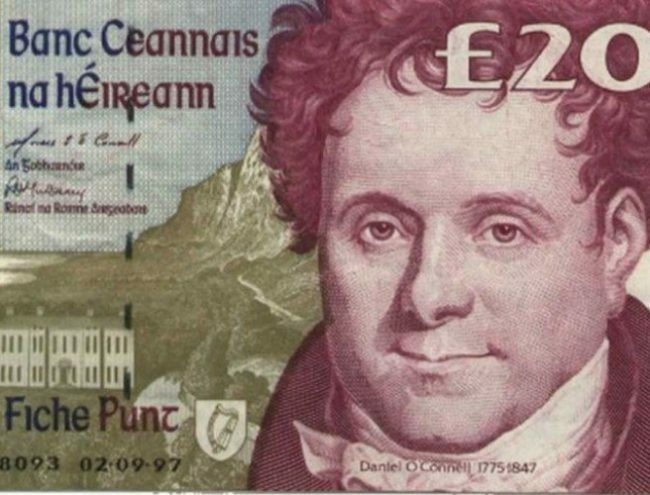 The latest figures from the Central Bank show that at the start of April, old Irish banknotes worth €226.79m and coins worth €123.67m remained unaccounted for. That’s a total of €350.46m – which is some €200,000 less than there was at the end of 2016. Old currency is far from worthless and can be changed into euros at the Central Bank. You do this by either submitting them to a drop box located at the Central Bank or by post. Coins and notes cannot be mixed together, they require separate submissions. Here are the forms you need to change your money. Notes are shredded and recycled, while coins are melted down and reused. By the end of 2002 when the currency changed, 90% of Irish pounds had been converted. Just over €460m was outstanding. 12 of the countries who joined the euro are no longer changing money. The Irish Examiner reports that some €5bn’s worth of uncovered coins across the euro zone are how worthless. The conversion rate between the euro and the Irish pound was €1 = £0.787564 when Ireland adopted the euro.